Think You’re Saving the World? Starbucks has a reusable cup program, where for $1 a customer can purchase the cup. The cups aren’t intended to last forever, as some have stated they are good for about 30 uses. However, the cup gets you a 10 cent discount each time you use it and after ten uses, the cup pays for itself. Even better, the cup is also completely recyclable at the end of it’s lifecycle. This is a marketer’s dream come true. Customers are offered a discount, plus they get to feel good about helping save the environment. 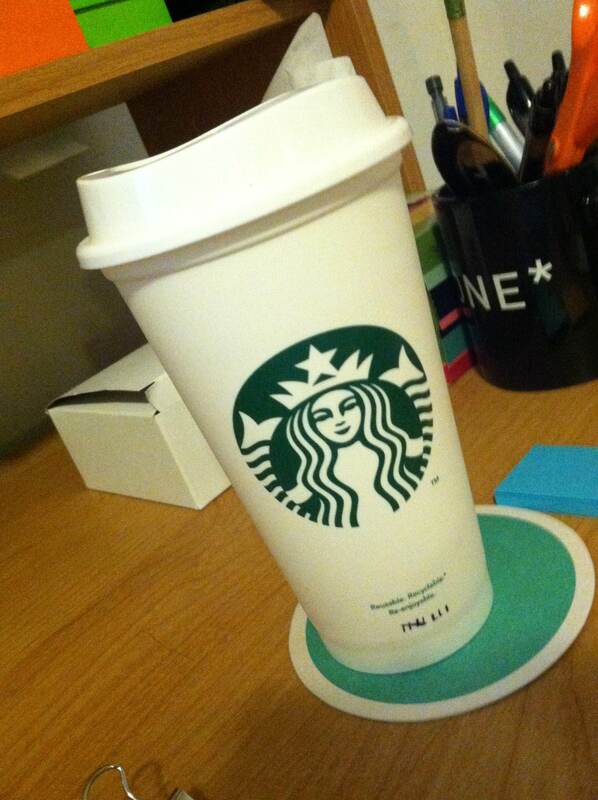 Starbucks’ goal is to have 25% of all drinks made served in reusable cups by 2015. But, I couldn’t help remember someone once said that all marketers are liars. Upon careful observation, I realized that in order to keep the drive-thru flowing smoothly, Starbucks employees are still making your drink in a paper cup. The contents of the paper cup are then poured into your reusable cup once you pull up to the window. A paper cup is still used and thrown away. Let’s fix this Starbucks. Worried about drive-thru lines getting long? Make the drink in a stainless steel cup, pour the contents into a reusable cup, then rinse the stainless steel with hot water. Problem solved. Edit: Starbucks employees making the drinks in paper cups before pouring then into the reusable up is something that’s been observed at locations in Spokane, WA. I should point out that this might not be happening at every Starbucks location. Are you sure thats the case? If so…shame on them. It might not be the case at every Starbucks location, but I know several people that have seen it done here locally. Love the idea of stainless cups for drink prep. They should probably have handles on them or double walls as in a single wall stainless cup would get quite warm when filled with coffee. BTW at todays prices a car probably burns more fuel in the drive-thru than the 10 cents saved. If you really want to save the world park the car and walk in. At Thomas Hammer Coffee we use eco-friendly cups, and when a customer uses their own Travel Tumbler, we give .25 CENTS OFF! BOOYAH! LOCAL IS BEST! Well played Thomas Hammer, well played.